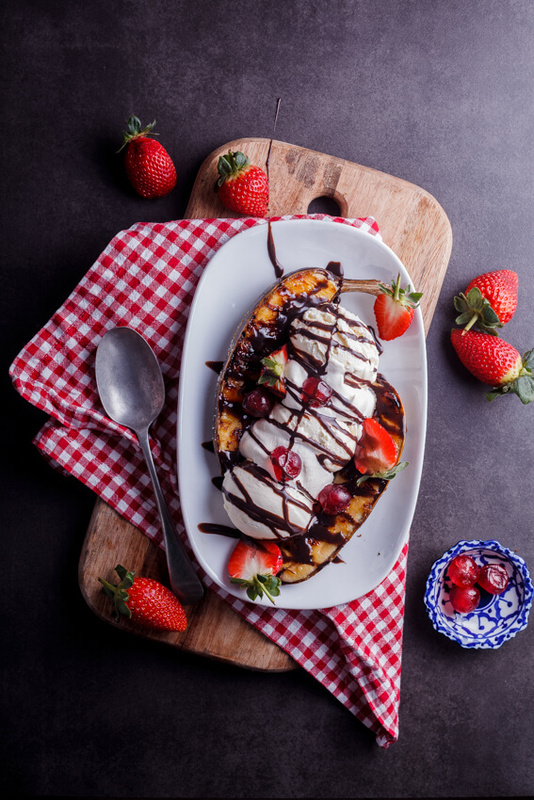 Grilled bananas take the classic banana split to new levels paired with vanilla ice cream, fresh strawberries, whipped cream and the ultimate hot fudge sauce. Today is not a day for kidding around. We are going right for it with this insane banana split ice cream sundae recipe and I’m not going to lie, if you don’t make this over the weekend, I’ll be judging you just a little. Because guys, THIS is the stuff dreams are made of. When I was a little girl, my mom would often take us for ice cream sundaes and waffles at the local ice cream shop. My eyes were always bigger than my tummy and I would want a milkshake AND a Sundae and pretty much 100% of the time that would result in me not being able to finish either and having a stomach ache and so my mom told me I had to choose one. And without fail, I would always choose a banana split. I just loved the fruity flavours accompanied by the creamy ice cream, swirls of whipped cream and fudgy chocolate sauce. And the cherry. Oh, the cherry on top. I would always save it for last because it was my favourite bit. And now, many years later, I still have a soft spot for banana splits. This version with grilled banana is pretty off the charts though and elevates that timeless classic to new heights. I grilled the bananas on our trusty Weber 57cm Mastertouch with GBS (Gourmet BBQ System) braai because pretty much all winter long so far, we’ve been braaing something on this braai every week. I wanted to do a dessert because it’s not something you usually done on a braai but the options are endless and don’t have to stop at simple s’mores. I sprinkled the bananas with a little brown sugar before grilling them flesh-side down until they were beautifully brûléed and then served them with a few scoops of vanilla ice cream, softly whipped cream and what I think is the best chocolate sauce I’ve ever made. It was so fudgy and rich and chocolatey and my suspicions were confirmed when C (he who loves ice cream and chocolate sauce so much, it’s a little weird) licked out the pot and asked for more. This is perfect weekend food and will have your family and friends drooling for more. 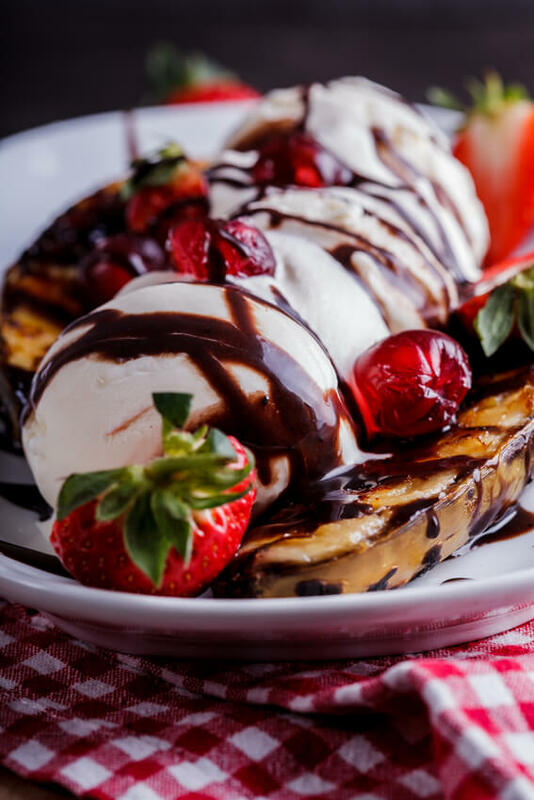 Grilled bananas take the classic banana split to new levels paired with vanilla ice cream, fresh strawberries, whipped cream & the ultimate hot fudge sauce. 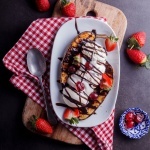 To make the hot fudge sauce, combine all the ingredients in a small saucepan and melt together. Remove from the heat before it reaches boiling point and set aside. 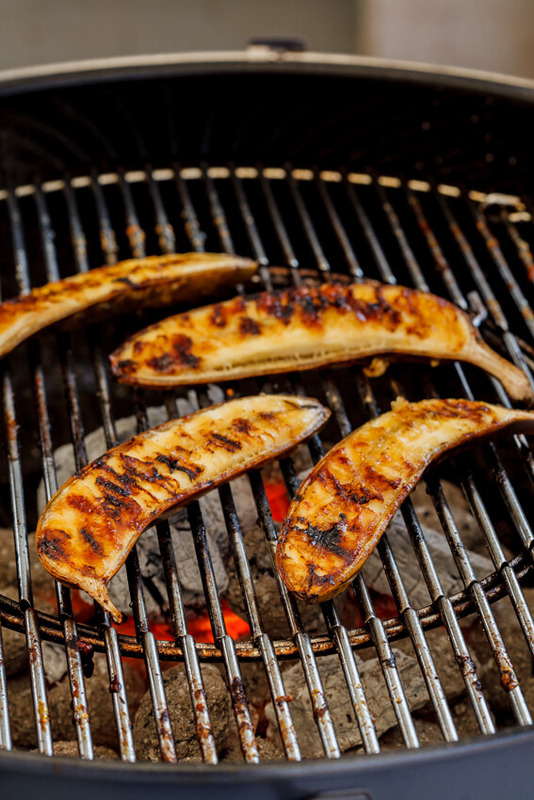 Braai the bananas over medium-hot coals until they start to soften. The sugar will burn quickly so keep a close eye on them. 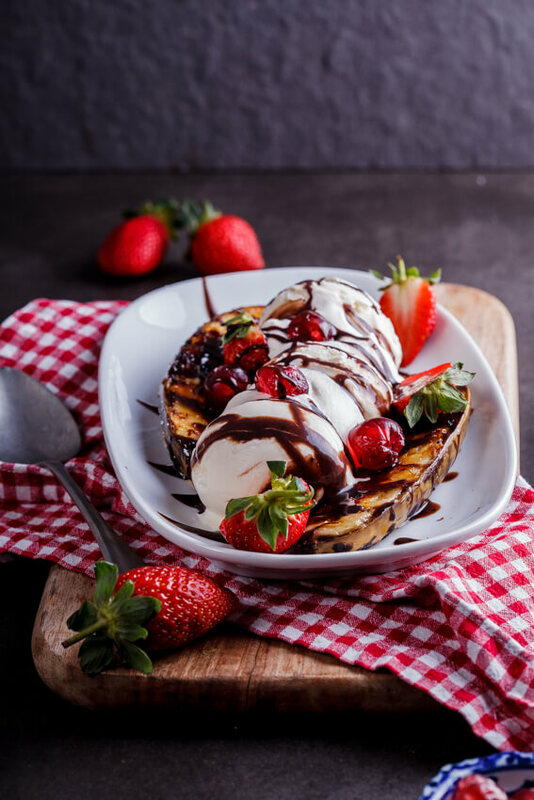 When the bananas are grilled, serve with scoops of vanilla ice cream and whipped cream, drizzle with the hot fudge and add the strawberries and cherries. Lentil burgers on the braai are devine! 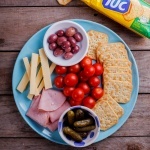 Braai-broodjies with cheese, onion, tomato, and a little chutney and mayonnaise are my favourite on the braai – I don’t even need the meat! The potato bake is the best! It may be simple, but my favourite braai foods are toasties. 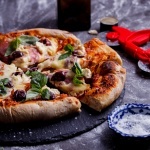 Loaded with cheese, tomato, onion, a fruity chutney – Oh man! How can you go wrong?! ? Looks YUMMY! I’m always a sucker for a lamp choppie and sweet potato with butter and brown suger in the braai. Love this! I love mielies, spatchcock chicken and stuffed mushrooms on the braai and a new Weber will make these dishes even more awesome! Wow, Alida! You just took a great recipe to another level. Looks yummy and oh my heavens it would be great with the weather we are having not — hot and very humid. Something cold and creamy would hit the spot. Thanks Rebecca. Yeah, the grilled bananas definitely take it over the top. Oh no you didn’t! These look to die for, over the top delicious. Can’t wait to try them! Oh! What a lovely prize! I remember Banana Splits done on the braai wrapped in foil and combined with roasted marshmallows and sprinkled with chopped nuts were a summer favorite after a day in the pool. Now my favorite food to eat off a braai is lamb chops, there’s something about them being done on a braai that intensifies their flavor oh and the additional smoke flavoring is a hit too!